Yasou, white buildings pile atop each other, tumbling toward the water. You can lean out over the wall and look down, past the rounded blue roofs and jumbles of white houses, and see the cruise ships idling in the harbor. My press trip brought me to Thira. 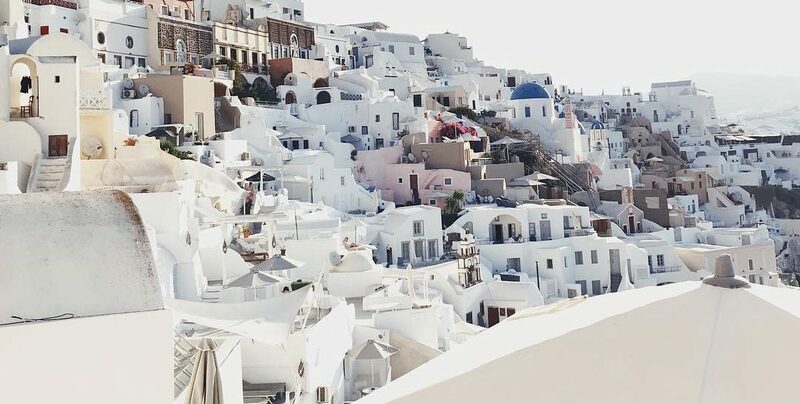 The largest town on Santorini, built into a cliff overlooking an ancient volcano, Thira caters mostly to upmarket travellers. 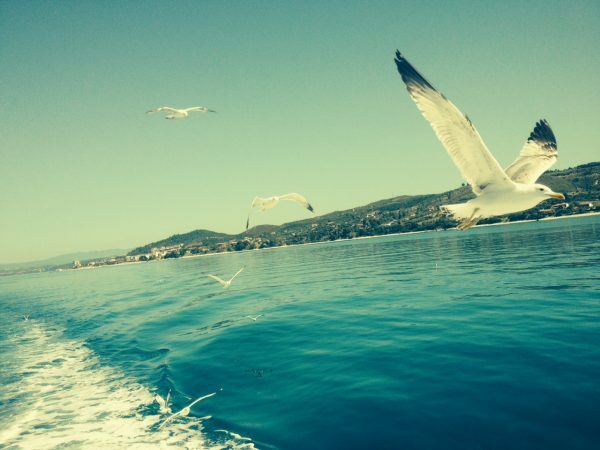 Cruises let off day-trippers for shopping on Ypapantis. Jewelery shops and galleries line the streets and offer perfect gifts for many Asian honeymooners. At sunset, honeymooners stroll Caldera Street, which winds through town with views of the volcano. Santorini’s volcano and the black sand is world famous. 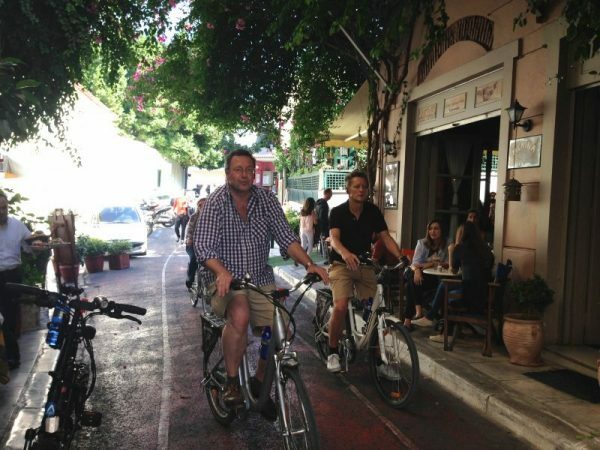 Athens for runaways and bikers. If you are travelling and flyin out from Athens you must vist the Acropolis and try the Meldani restaurant. Not a star restaurant but a fantastic eating experience, the basement taverna on the corner of Sokratous and Theatrou at the bottom of the fruit and vegetable market. There are no menus but you can look around and see what everybody else is eating. It’s almost like a private club. The wine list is great. It comes sometimes without even asking for it. The grilled fish is incredible. We tried everything split pea and a few other things that looked fine at the surrounding tables. Perfect lunch address, great red wines and a very large menu which includes just about every Greek oven dish you can think of plus bakaliaro me skordalia, podi, and some salads. Come over, Greece is waitin for you.